Walden Family Services is proud to support the “Every Child Deserves A Family” campaign. The campaign promotes the best interests of all children in the foster care and adoption system by increasing their access to loving, stable, forever homes. As a foster family agency and transitional youth housing provider operating in five counties in California, we have witnessed firsthand the dramatic advantage that children in foster care have when they are able to live in safe, supportive family homes instead of group homes or institutional environments. We absolutely oppose discriminating against qualified, resourced foster care parents simply because of their sexual orientation, or religion. Unfortunately, this is happening in some areas and it is not in the best interests of the kids in the child welfare system. Bob and Aaron came to Walden Family Services wanting to adopt a child through foster care. Young Eric came to Walden from a group home and had already been in foster care since he was two years old. 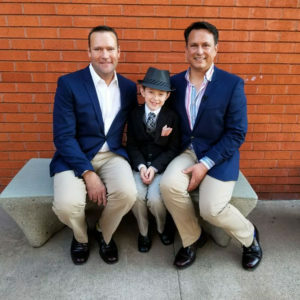 He says, “I feel special, my hopes went up when I met Bob and Aaron and they said they would sign the papers.” Just two days before his seventh birthday, Bob and Aaron’s adoption of Eric was finalized. Watch this short news clip about their happy day! To learn more about this issue, visit FamilyEquality.org and the Every Child Deserves a Family Campaign and add your story about foster care and adoption. If you are in Southern California and are interested in adoption and foster care, our offices in Riverside, San Diego and Los Angeles have upcoming informational events that we encourage you to attend. Or call us at (800) 354-2184.